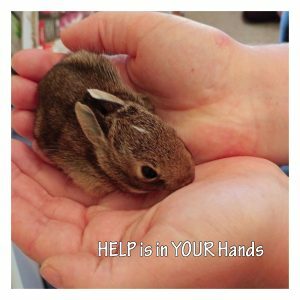 Procyon Wildlife is always in need of help. There are several ways you can be of assistance. If you would like to set up a monthly or one-time monetary donation, please use the Canada Helps button found at the top of the right-hand column. This is the easiest way to help us out. Interested in being a volunteer? Please see the Volunteering page. A charitable bequest is perhaps the simplest form of planned gift to arrange. It is a gift made through a persons’ last will and testament. A charitable bequest could consist of gifts of cash, real estate, or property. A charitable bequest in your will is a wonderful and simple way to make a charitable gift that will help support Procyon Wildlife’s important work of saving and protecting wildlife. We will send you a personalized certificate/card to give that special someone as a birthday gift. Corporations and small businesses can support us in different ways, though grants or donations of money or materials or in other ways. Please see our Wish List! bottle program – We ask that you donate beer, wine and liquor bottles; a shed is located at the bottom of our lane for you to drop them off. raffles – Buy a WestJet raffle ticket. Win a free flight for two.